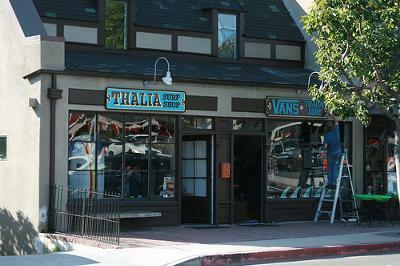 Thalia Surf shop is the best place to shop for local surf brands. They have the best selection of Laguna Beach tees from Local artists and small independent surf companies. They also have a cool Vans shoe store. Join in and write your own page! It's easy to do. How? Simply click here to return to Laguna Beach Shops Submission.